This plum almond cake, an Italian dessert known as Torta di Prugne e Mandorle, is easy to make from scratch with flour, almond meal, sugar, butter, lemon, and plums. Addictively delicious. 1. Preheat the oven to 375°F (190°C). Lightly oil an 8- or 9-inch springform pan. Dust the pan with flour and tap out any excess. 2. In a large bowl, whisk together the flour, almond meal, baking powder, and salt. In a separate bowl, whisk together the oil, egg, half-and-half, lemon juice and zest, the 1 cup (8 ounces) sugar, and the almond extract until thoroughly combined. Add the liquid ingredients to the flour mixture and whisk just until combined. 3. Scrape the batter into the prepared pan. Arrange the plum halves, cut side up, atop the batter. In a bowl, combine the almonds, the remaining 2 tablespoons sugar, and the butter and mix well. Dot the almond topping over the cake. 4. Bake the cake until the surface is golden brown and a tester inserted in the center of the cake comes out clean, about 45 minutes. (If using an 8-inch pan, you may need to bake it longer, being careful to cover the outer edges of the cake with a strip of foil if they begin to brown.) Transfer the pan to a wire rack and let cool for 20 minutes. Remove the ring from the pan and place the cake on a serving platter. Cut into wedges and serve warm or, if you can wait, at room temperature. Delicious and beautiful. Homey and brilliant. The flavors of this plum almond cake blend remarkably well together and the cake is beautiful studded with the plums. I couldn’t find Italian plums so I just used the wonderful black plums from the farmers’ market. The fruit made the cook time a little challenging, as it kept the batter around the sliced plums very moist. I cooked the cake for 5 minutes longer than suggested. The only thing I would change is to increase the amount of the almond topping; I loved the contrast in textures it lent to the cake—I just wanted more of it! I really preferred this cake slightly warm. Simply beautiful and superb! The plum almond cake was very good with its nice, delicate crumb topping and very appealing, almost buttery taste, although there was no butter used in the batter. I used fairly ripe, but not overly ripe, plums. They were rather tart so the next time I make this cake I will let them get a bit more ripe or I will try to find Italian plums. My plums were larger than Italian plums, so I only needed 7 plums halved, rather than 9, to cover the top of my cake. I didn’t have an 8-inch springform pan, so I used a regular 8-inch cake pan. I made a parchment round for the bottom of the pan hoping that this would help me get the cake out of the pan. The cake took exactly 45 minutes to bake. I probably should have let it cool for more than 20 minutes before taking it out of the pan, because it did break a bit when I removed it. 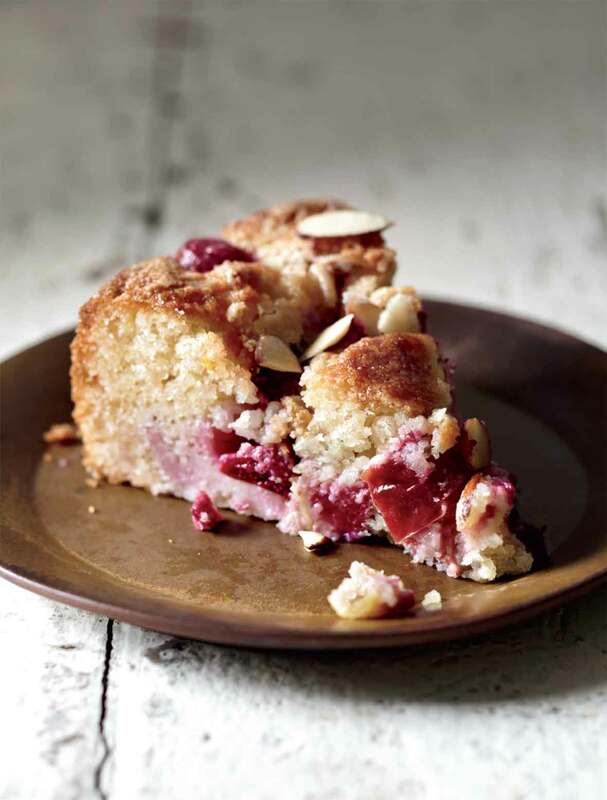 This plum almond cake highlights the delicious combination of plums and almonds. What I thought would be the tricky part of the recipe was finding almond meal, and that concern disappeared when I found that Trader Joe’s sells it—and at a great price! What ended up being tricky was pitting the plums. I used a combination of red and black plums and found that the ripe ones were easier to pit but that the skin easily separated from the flesh and the flesh ended up being smooshed. The slightly unripe plums were easier to halve because they were firmer but getting the pit out of them required a knife and the end result wasn’t very pretty. Once baked, the plums that ended up getting a bit mangled in the process released a lot of their juices into the cake batter since the skins weren’t completely intact. Not a big deal, especially if the cake is eaten that day. By day two, the cake was soggy but still delicious. The topping adds a great additional crunchy texture and would be better showcased with a wider pan. If you use an 8-inch pan, make sure it has high sides (3 inches) and consider covering the edges with foil once it browns so you can get the center to bake for a bit longer. Plum Almond Cake Recipe © 2011 Domenica Marchetti. Photo © 2011 Maren Caruso. All rights reserved. All recipes and photos used with permission of the publisher. I am so happy to find this recipe using plums. I make a very similar recipe (uses melted butter instead of oil) that uses chopped peaches. In the back of my mind I thought how good it would likely be with plums. It is my very favorite simple summery cake that’s good any time of day. I grind toasted, blanched sliced almonds to a powder rather than buy almond flour, I like that little bit of texture it lends. Almond is a natural flavor enhancer with all stone fruits. Isn’t summertime the best Susan, with all the wonderful plums and peaches that we can use for tasty treats like this. Let us know what you think after you make. Alas, I came across this recipe half an hour too late! I had some plums that needed to be used, so I went and made Marion Burros’ Purple Plum Torte — which is delicious, but it would have been great to be able to try out a new recipe. Oh well, all the more reasons to buy more plums next week! This looked like a perfect cake to finish off a Tuscan inspired meal. However, I didn’t have sunflower oil, but thought olive oil might work rather well. Then, when I realized I had doubled the required amount of milk, I thought it an excellent idea to double the entire recipe and make one cake with plums and the other with cherries. Both came out wonderfully delicious! Here I am, after cooking yet another recipe found on Leite’s Culinaria. I have yet to make anything from this site that has not turned out spectacular, tasted wonderful, and quickly printed for addition to my favorite recipe folder. This recipe is no different. I will definitely make this again. And again. So lovely to hear, Karen. Thank you! Karen, so glad to hear you liked the plum cake. I haven’t made it yet this summer. Thanks for the reminder. Cheers and Happy 4th. Okay, so I had some issues with the cake. Firstly, I could not cut the plums in half and pit them with any ease. The plums all squashed, the juices ran out and it was impossible to get proper plum halves into the batter. I also used buttermilk as I didn’t have milk. Secondly, my topping all sank to the bottom. The cake was delicious and baked just fine however. Also, I used coconut oil instead of regular oil. Delish! Hey, Ariel. Cutting plums, or any ripe stone fruit, can be difficult. One trick I use is to place them in the freezer–not until frozen! !–but until just firm enough to halve. Also, the substitution of the buttermilk for the milk and the coconut oil for the regular oil could have impacted the results. They all contain different fat contents, and you might have thrown off the delicate chemistry, found in all baked goods, by the swap outs. But I’m glad you enjoyed it. It truly is a delicious cake, just right for the season! Hi and thanks for this recipe. The web page is interesting and inviting. Today I tried this recipe using rye flour ( I prefer using organic, non-wheat flour). For more flavour I macerated the plums for 1 hour in a bit of rum, lemon juice, zest, cinnamon and sugar. They leave a thick juice which is nice to top the cake with after is baked. Is the base of the cake supposed to come out fluffy? Because mine didn’t. It came out soft but rather dense, like a pudding. Good flavour though, the soft base with the tangy plums and crispy almonds on top. Will make again but probably be using a lighter flour. Hi Laura, yes, I think that your flour is the culprit. You might try a GF baking mix if you are trying to avoid wheat. Thanks for the compliments! After 3 days it was still lovely so I wonder if you can freeze it the day after is made. Has anyone tried freezing it? Laura, love that it remained moist and lovely for so long on the counter! I’m actually a little worried about freezing it. Plums are so watery, I worry that during thawing the excess moisture may make the rest of the cake rather sodden. But I am very willing to be proven wrong…has anyone tried stashing this work of art in the freezer? 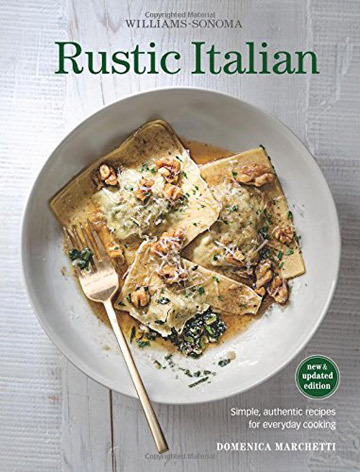 I’ve also asked the author of this recipe, Domenica Marchetti, for her advice. So kindly be patient, Laura, we’ll have a response for you soon. 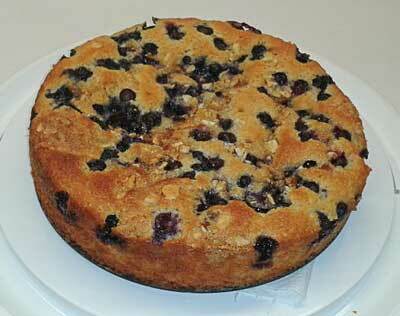 This is my absolute fav cake – though I live in Hong Kong, so always make with blueberries. My kids call it the blueberry muffin cake. Looks great! Is almond flour the same as ground almonds? Hello, Colin. Almond flour is more finely ground that ground almonds. For this recipe, definitely stick to almond flour. You can find some great almond flour here. David, I have found that if you add sugar to almonds in your food processor, you can more closely approximate the almond flour that you buy in the store. Also, your Flourless Almond Cake has become my go-to cake if I’m not making something chocolate, and for that I don’t use almond flour but always grind unblanched almonds in my food processor (with no sugar added) and love the texture it gives that perfect little cake. I also use organic sugar, which is a little coarser and browner that regular granulated, and it works well. Most people actually find that cake astonishing so I thank you again and again for sharing that recipe. Victoria, thanks for the tip. And I’m so delighted you enjoy the flourless almond cake! Thanks David. I would love to try this but I have never understood the “cup” measurements. You’re welcome, Colin. But all the weights are included, if you’re not a fan of the volume method. I didn’t have any idea how to use plums when I got some from my father-in-law. I have never had plums in my country. So I was very happy that I found this recipe. Plums, almonds, and lemon are a great combination and this cake’s color was wonderful. My husband loved this cake and plums are now my husband’s favorite fruit (it seems that I have still lots of things I don’t know about him even though we have lived together for 10 years!). I will definitely make this cake again! Wonderful, Maiko! We so appreciate you taking the time to let us know how much you and your husband love this cake. And we’re already looking forward to hearing which recipe on the site you try next…who knows what else you may learn about your husband as you continue to try new recipes?! Zita, we haven’t tried this cake with cherries, but I love the notion of it and I think the taste would be spectacular. Very nice idea. I’d go ahead and try it, being certain that you completely thaw and drain the cherries and pat them dry to remove as much moisture as possible since frozen fruit so often tends to retain extra moisture and can be a touch soggy. I’d hate for the cake to take on that extra liquid and have the consistency be a little off. Kindly let us know how it goes! This is the best cake ever. I have taken it to so manny dinner parties and it’s always a hit. Super yummy with fresh plums but have used tinned plums when fresh not in season and it’s still delicious. Magnificent, Suzanne! Love that you love this cake as much as we do! And we love that you took the time to let us know! We so appreciate that. I was fortunate to find this wonderful cake through a very complementary comment from an acquaintance who lives in Roma, Italy, and since I am Italian and live in Tuscany it did inspire me to try this “Italian Classic”, and it is delicious. I had some dark plums from our neighbour’s orchard, and some local almond flour, and it being Sunday, a relaxing day to make a cake. We enjoyed it this evening with a glass of Chianti, and send our compliments to Domenica Marchetti and the people at Culinaria. 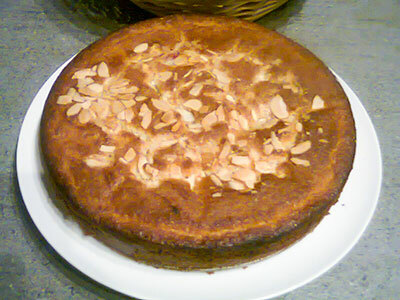 Next time I will extend the almond topping a bit more to the edges, and you can see why from the foto. I will be making this again for many different occasions. Grazie e ciao! Olga, I’m delighted to hear you spent your sunday making and enjoying this delicious cake. I shall pass on your compliments to Domenica. Can this be made with peaches instead of plums? Or will the texture be off? Anum, it should be fine. Just make sure to use ripe peaches. Can someone help me troubleshoot this? The flavours were delicious but my textures were all wrong. I followed the recipe, except for the Italian plums. I just had some rather large, red plums that were on the verge of being overripe. I handmixed my batter and the batter came out very dense. The second problem was the plums, they were very juicy and runny and seeped into the cake, so it made the cake very wet. I had to bake for much longer to get anything to set. At the end, the cake was very dense and was definitely a layer of cake and a layer of plums. It was not mixed like the pictures. Oh, but the flavour combination was divine! Please help this novice baker, so I can get it right next time! Anne, sorry the cake was dense. 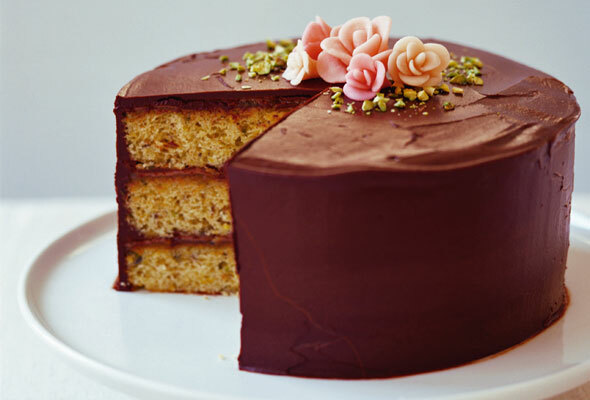 It’s not a light fluffy cake–it does have some heft to it. Tell me: Did you weigh the flour or did you use cups? The plums also may have contributed to the denseness, and liquid made have caused them to sink. My suggestion would be to carefully measure the flour and use ripe smaller plums.